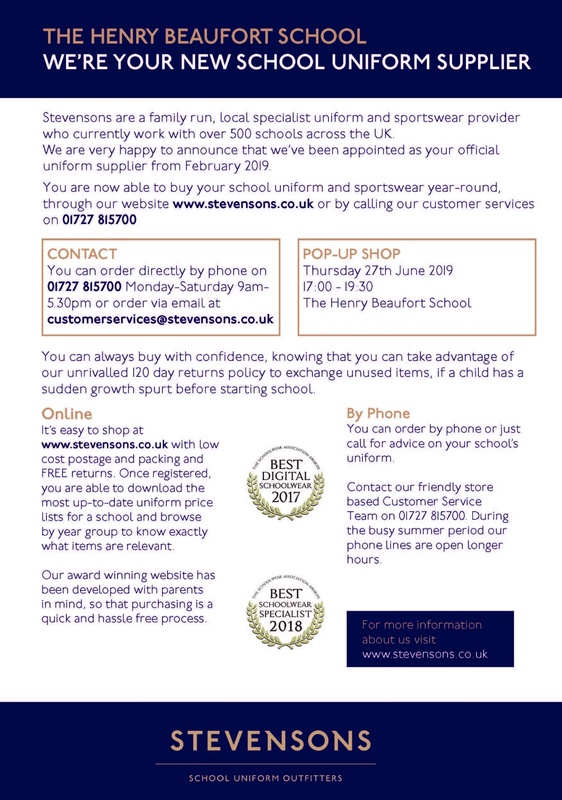 The supplier for The Henry Beaufort School uniform is Stevensons. Uniform is purchased directly from the supplier for delivery to your home. 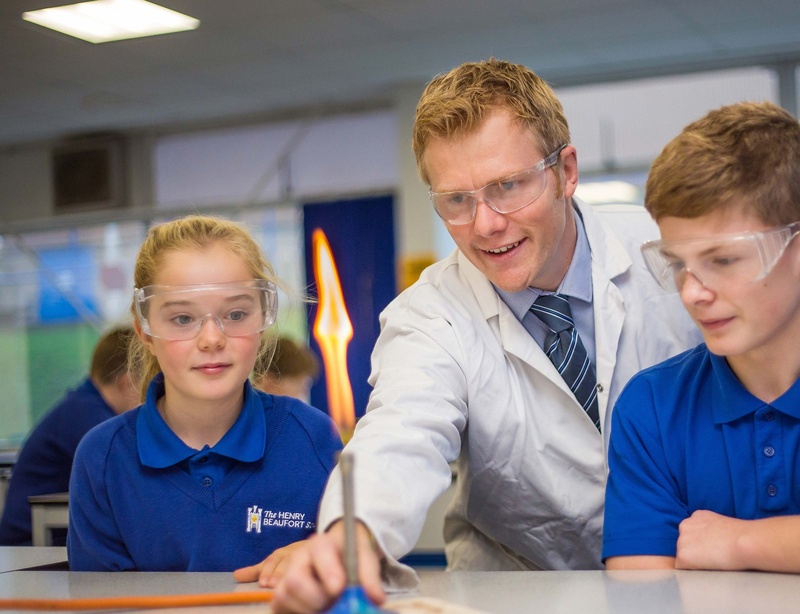 There will be a pop up shop at the school in the Concert Hall on 27th June 2019 from 5pm - 6pm. This is being held before our new parent Information Evening. To view and order uniform please click here.